Amanda and I headed up to the Bangs Canyon area after work so we could hike to the Mica Mine. 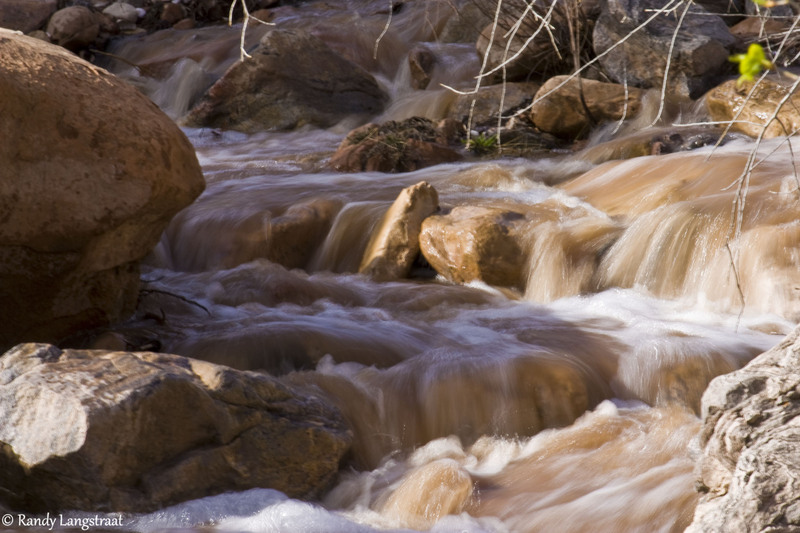 We encountered the seasonal creek through Rough Canyon to flowing pretty good, so I shot a few pictures. Yeah, I ended up spending some more time on the Uncompahgre Plateau today since I wanted to stick close to home. I started out on Delta and made my way to Escalante Canyon on the Escalante Rim trail. From there I took the Dry Mesa trail up onto the Uncompahgre. When I reached Divide Road my plans were to explore some spur trails off of the main road, but it seems there has been a lot of rain up on the plateau lately because all of the trails were very muddy and slick. I decided to skip the exploring until it dries out up there again (maybe in the fall). On my way back home I explored a few short spurs along Highway 141 that went off towards East Creek.